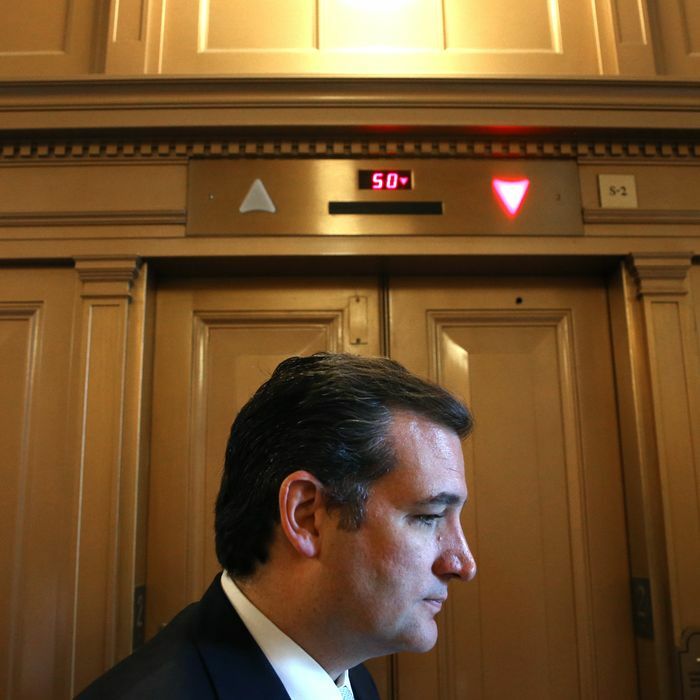 A sleepy Ted Cruz waits for an elevator on Thursday. Won't someone read him Green Eggs and Ham and let him go to bed? They’re also filling the time by sniping at each other. “I think it resembles fourth graders playing in a sandbox, and I’ll give the majority leader, Harry Reid, 99 percent of the responsibility for it,” said Senator Lamar Alexander. “If Bob Byrd had been here he would have had a stroke,” added Senator Orrin Hatch, referring to his former colleague from West Virginia, who died in 2010. Good thing all these delirious people aren’t making any important decisions.